The modern house is not a choice for everyone, some of you would love to have a modern house with the ethnic blend. Indian way of the interior has a very appealing allure to the house. This ethnic interior decoration let us root yourself in our year's old tradition and at the same time allows you to sync with the contemporary lifestyle. However, your dream of the ethnic house can come true by making small-scale changes. This can bring out the soul of Indian culture with the Indian way of Décor into our building. There are some of the good interior designers in Bangalore offering the same. Ethnic Indian style house is colorful. They explore colours, vibrant and bright colours define the characteristic of Indian ethnic interiors. Never hesitate to explore a wide range of colours shades. At the same time don’t over use the colour palate, too much of contrast colours will not soothe your eyes and fail to maintain coherence. Always opt for some earthy colour shades like maroon, red and blue. Bright colour shades like mustard yellow mustard, mahogany, golden yellow-orange create a good impression at first sight. These colour schemes tend to make out the interior décor in its’ greatest form. If you wish to use some patterns on the walls, then you can go for some bold and bright colours for a satisfactory result. Intricate design patterns and traditional motifs define the Indian design. They tend to be a significant attribute of the wall decors. Some of the traditional and popular patterns are Mandala and Warli prints. You can also incorporate some other themes that are inspired by your culture or nature or community life. These colours and patterns are seen as an icon of our culture. Many people feel a deeply spiritual or emotional connection. Fabrics can be used in many creative ways in our house to adorn our house. This can be Curtains, quilts and duvets or overhead canopy. These fabrics not only adorn our houses but bring out the aesthetics of the place it adorns. You can find a lot of expensive fabrics that has intricate works; they depict the fine work of the workmen. A Good Interior Designer in Bangalore suggests more range of accessories. Be it Pochampally ikat, Brocade or other range of fabrics from jute to khadi can be used to adorn your living room. You can also make use of traditional designs and patterns in your house interiors in different forms. They can either be draperies, tapestries, or tiles, or flooring or any other upholstery work. Our country is home to several intricate hand crafts. Pick some ethnic décor elements to adorn your house. It can either be a diyas, pottery, status, and crockery elements. If you are interested in hand crafts, opt for some Bellary embroidery, Lacquerware Toys and Bidriware that gives an enlightening blend of culture and tradition. Opt for solid furniture sofa sets, diwan and wooden lattice chair set that comes along with cushions. Furniture that features curved armrests and legs, floral motifs and other engravings will give more look to the house. To make it less expensive, you can also opt for bamboo-woven furniture. They are best suited for patios and other outdoor places. 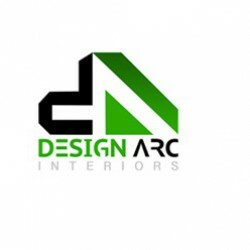 Hire Design Arc Interiors; one of Top 10 Interiors Design Companies in Bangalore, India highly skilled in Commercial, Residential and Home Interior Decoration, Office, Apartment Interior Design with modern styles as customers’ needs.